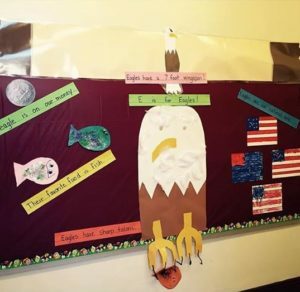 Eagles fly much higher than other birds.The common habitats are forests and mountains. 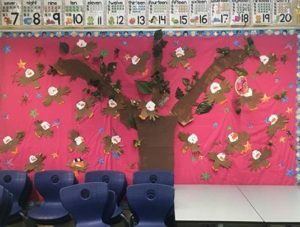 They make their nest on high cliffs and on the tops of long trees.It’s a powerful bird. 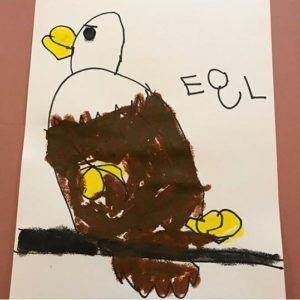 Strong legs, strong claw and strong beak.They can carry heavier animals than themselves. 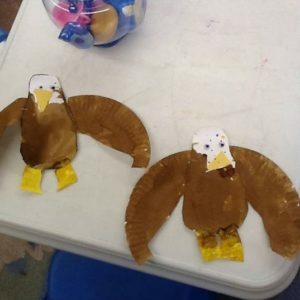 Check out these cool eagles we made in preschool today. 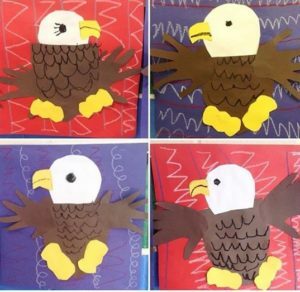 Kindergarten talked about the colors and symbols of the United States and made these adorable bald eagles to decorate for our ”craft week”. 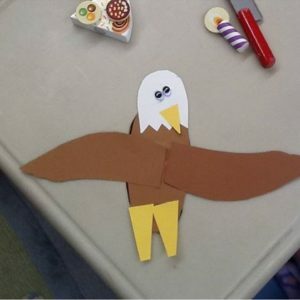 (Handprint eagle craft for kids). 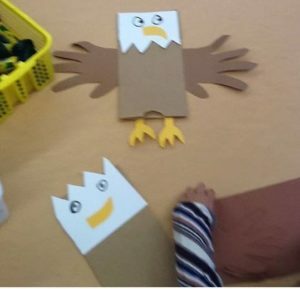 E is for eagle.We used white,brown and yellow paper,googly eyes,glue/scissors.It’s easy and fun craft.